It's BER month and a few more days from now, we'll celebrate Christmas again. That means Santa Claus will be seen again everywhere, but have you wonder why Santa wears red? Here is a story about Santa's origin. The story is based on a game called "999: 9 Doors, 9 Persons, 9 Hours" by Chunsoft. WARNING: The story is a little violent and is not suitable for children, specially to those who are still believing on this Red guy hopping on chimneys. Parental Guidance is advised. Once upon a time, there were two Santas, one who is wearing white clothes and one who is wearing black. 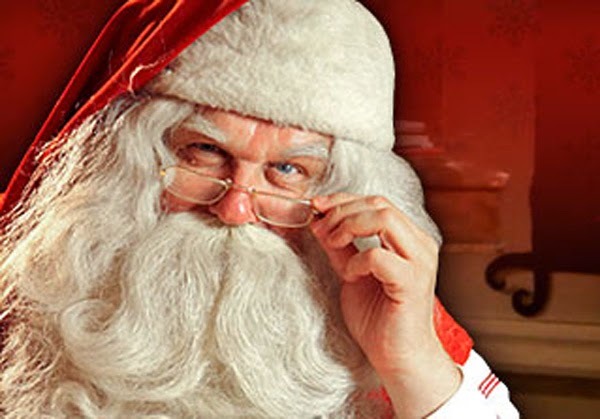 The white Santa is very nice and he always give gifts to all kids and people who are nice. The black Santa, on the other hand, do the other way around. He punish all the naughty kids and make them suffer. In frustration, the white Santa stabs the black Santa with a knife until he dies. White Santa's clothes were all covered with blood that makes it red. From then on, only one Santa is left and he is wearing blood stained clothes. The moral of the story, eh? Santa is not washing his clothes! 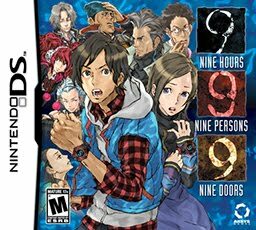 Kidding aside, The game 999: Nine Hours, Nine Persons, Nine Doors was one of the many puzzle adventure games on Nintendo DS released last year (2010). Though the story and puzzles was really good, I find the game play really boring because of the long conversation that almost last for more than 15 minutes. This game provides a first-person perspective in the eye of Junpei, the main protagonist of the story. It also offers a multiple endings that changes depending on your answers to questions and puzzles. On the list of characters, one of the nonary game players is a guy named Santa (the guy with bracelet number 3 which in my opinion looks like Hisuka of HunterXHunter, only younger). Anyway, for a gamer who loves strategical this game should somehow catch your interests. Nice! Ganun pala yun, Naalala ko tuloy nung bata pa ako talagang nagsasabit pa ako ng medyas sa pagaakalang totoo pala sya. Killer pala Santa "Hohoho mamatay kana". LOL! Can't say anything yet- hahahaha! We can just assume that Santa doesn't throw his clothes away for trivial things such as blood drenching them.